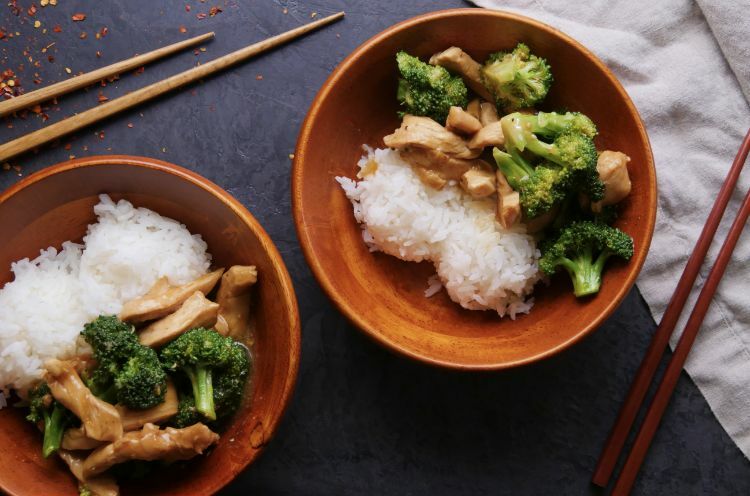 This spicy Instant Pot recipe is inspired by everyone’s favorite: Chinese takeout. The recipe is quick and easy, and it cooks all in one pot for less cleanup. It’s also healthy and super family friendly. Add a pot of steamed white or brown rice, and you’ve got dinner solved. Fresh ginger and garlic really punch up the flavor of the savory, soy-based sauce. The red pepper flakes add a nice kick of heat, but you can leave them out if you’re serving kids or people with sensitive palates. If gluten is an issue, simply substitute coconut aminos or gluten-free tamari for the soy sauce, and be sure to use gluten-free chicken broth. Put the chicken in the Instant Pot. Add the broth, soy sauce, sesame oil, ginger, garlic, salt, pepper and red pepper flakes. Close the lid and turn the valve to the sealing position. Select high pressure, and set the timer for eight minutes. Turn the pot off and immediately stir in the cornstarch mixture. Turn the pot on to sauté. 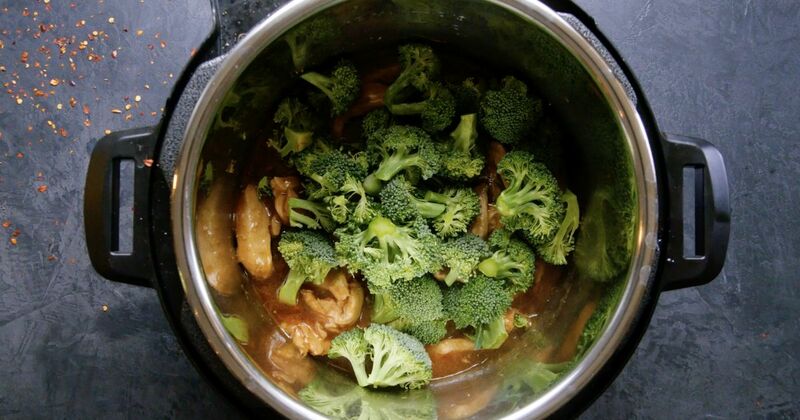 Add the broccoli and let it cook for about five minutes, stirring occasionally or until the broccoli is tender and the sauce has thickened. Serve hot.